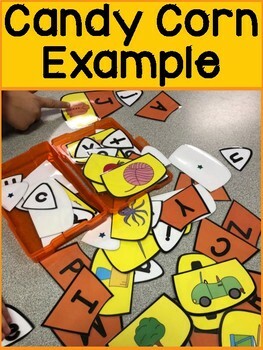 A fun and easy way for students to practice their letters and letter sounds! These cards have a lowercase letter, capitol letter, and picture to make up a candy corn shape. Students match the lowercase letter and capitol letter before finding the word that starts with that letter sound. There is one candy corn for each letter in the alphabet. 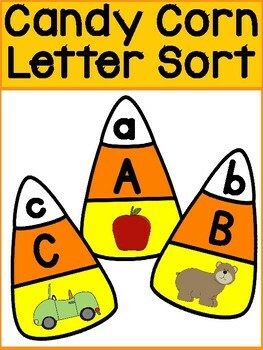 For best use, cut the candy corns into three pieces so that the letters and pictures are separated.